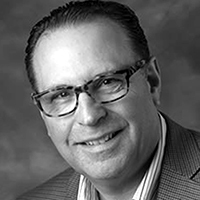 Larry Levin serves as executive vice president within IRI’s Consumer and Shopper Marketing (CSM) Center of Excellence. In his role, Levin oversees the commercial sales strategy for all of IRI’s new consumer and shopper products, and he leads its survey and new product innovation growth sectors within the CSM Center of Excellence. Levin joined IRI in February 2010 to lead its Survey Solutions group and was then promoted to run its overall Consumer Insights business. In 2012, he assumed the leadership of IRI’s Mid-Market vertical, further driving IRI’s portfolio among this wide-ranging industry portfolio. In 2016, Levin rejoined IRI’s CSM organization to drive the aforementioned solutions across IRI’s portfolio of clients.